Most manufacturing plant fires are preventable. They can kill and injure people and cause billions of dollars’ worth of property damage each year. 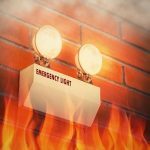 Fortunately, there are steps you can take to prevent fires and protect your business. Although a manufacturing plant can’t be completely fireproof, there are three important fire prevention things your plant can implement immediately. Manufacturing plants can have special fire hazards such as production equipment, electrical enclosures to storage and process areas that require specialized knowledge and equipment to control potentially hazardous situations. Having a trained fire protection professional walk through your plant and identify fire and life safety risks can prevent dangerous hazards being missed. You will be informed of the risks and receive a plan for reducing those risks. Fire suppression systems and equipment can be expensive to install in a manufacturing plant and can cause owners to be reluctant to buy. But the cost of a fire is much higher. Not only is there the property damage cost, but the loss of business and production downtime need to be considered. A fire at your plant will cost much more than a fire suppression system. The leading causes of fires in manufacturing is heated equipment, shop tools and industrial equipment. Most fires could be avoided with preventive maintenance and frequent inspections and testing. All employees should be trained on fire prevention techniques and fire safety. Everyone should be taught how to use a fire extinguisher in case a fire does break out. 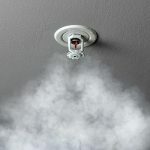 Most people don’t take the necessary steps today to prevent their business from going up in smoke tomorrow. But in manufacturing, the risks of fire are constant and can be prevented. Call Fire Control Systems to learn what you can do to prevent a fire from happening in your manufacturing plant.